This set of Logistics Manager interview questions can help you identify and select the most qualified candidates with supply chain management skills. Logistics Managers are responsible for the smooth flow of goods, from order and storage to transport and distribution. They manage the entire supply chain cycle to ensure sustainability and customer satisfaction. Your candidates usually come from an academic background in logistics or business administration with a relevant certification is supply chain management. It’s important that they’re familiar with warehouse management and can coordinate effectively with retailers, manufacturers and suppliers of raw materials. 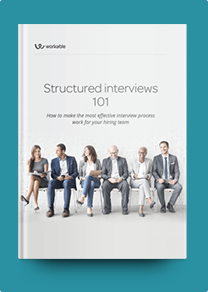 You can use these questions to learn how your candidates manage specific projects end-to-end and how they deal with strict deadlines. Keep an eye out for candidates who are familiar with cost-reducing methods and can add value to your company’s supply chain by analyzing logistics metrics. If your Logistics Manager supervises a team, you should consider adding questions to assess your candidates’ team management skills. What are your main daily duties? What goals would you set on a quarterly and annual basis? How would you monitor their progress? How do you keep track of stock levels? Are you familiar with ISO requirements and health regulations? How do you measure transport costs? What project management software have you used? How do you perform a blind count? Describe how you coordinate order shipping. If a supplier informs you there’s going to be a significant delay in their shipping, how do you deal with it? How do you evaluate your team performance? A manufacturer you’ve been collaborating with for years announces an increase in their prices. What do you do? Have you ever had to fire an employee? Why? And how did you handle it? Describe a time when you successfully negotiated a discount. What’s your area of expertise and how do you stay up-to-date with logistics management trends? Are you planning to get a relevant certification? Have you ever had to deal with customer complaints? Describe a situation where you worked on a challenging project. What was your role and how did you motivate your team?